Remember how last week we gave you a sneak peek into the new Zero Friends pop-up shop in San Francisco? Well, guess what, the shop’s now open for business and in addition to being stocked to the gills with all the Zero Friends merch, prints and original art your credit card can handle, the special festivities and events are now underway.. 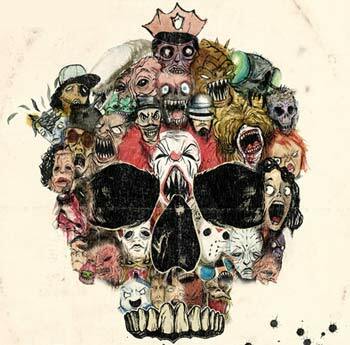 Starting this week, Alex Pardee will be hosting a very special Movie Knights program featuring one weekly, totally obscure/terrible/awesome horror film viewing at the space. Seating is uber limited (the shop’s not that big after all) so the twenty seats saved for the general public will be made available to the lucky few to score a corresponding print directly from the pop-up shop..